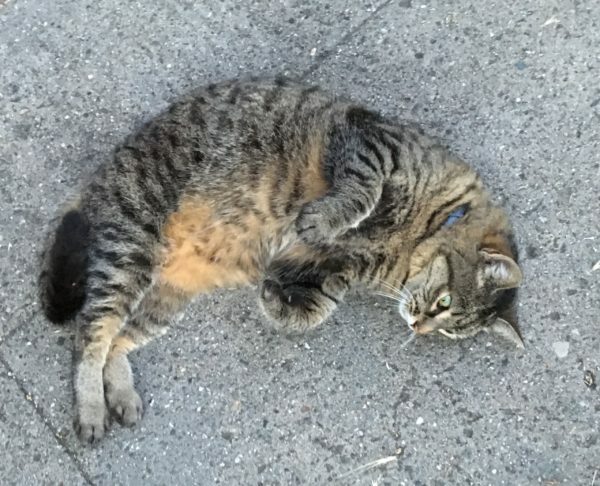 This cat was luring in all who passed on the sidewalk. When dogs do it, it either involves a human or it involves them being tied to something, at least in San Francisco. But this cat just decided that hanging out on the sidewalk and collecting scratches behind the ears was the order of the day, and thus did so. This is her wiggling around and generally making it very obvious that her back is oh-so-very itchy. And this is the ‘why did you stop’ face. 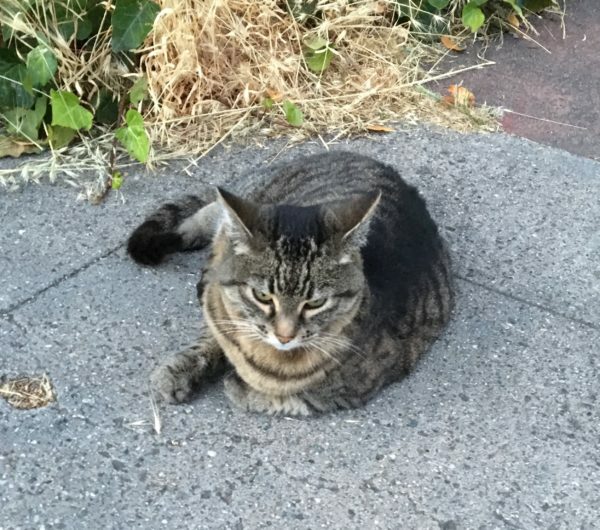 This entry was posted in Caturday Supplement and tagged Berkeley, East Bay, Tiger Tabby. Bookmark the permalink.